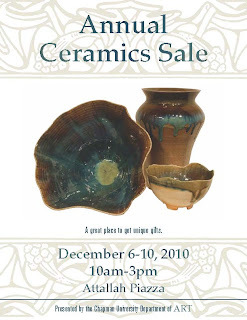 The Department of Art is hosting its Biannual Ceramics Sale in the Atallah Piazza December 6th-10th from 11:00 a.m. to 3:00 p.m. Come get some great gifts for this holiday season all made by students in the Ceramics Program at Chapman University. 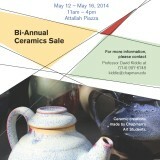 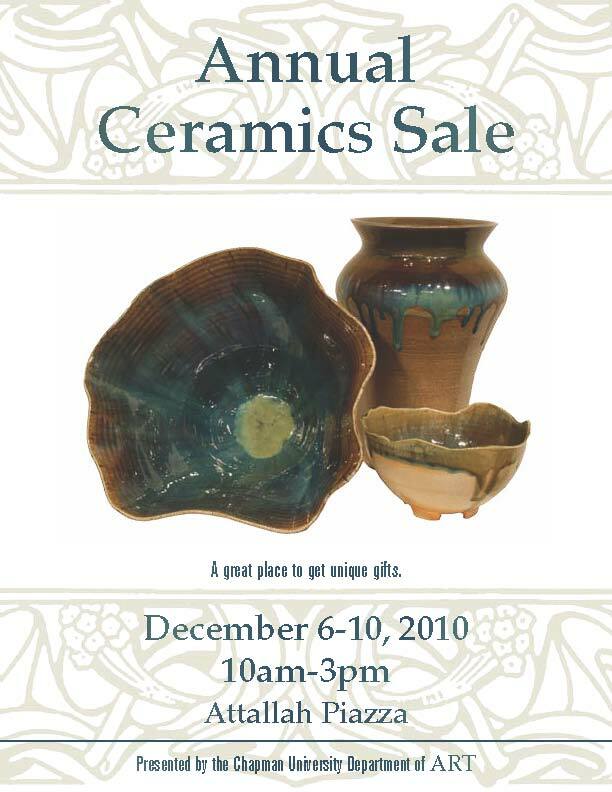 Many students from the Advanced Ceramics class look forward to this event each semester and this year a few seniors will have their best ever functional pottery for sale this year. 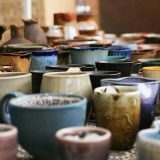 New unofficial Chapman University mugs will debut this year with proceeds from their sales going directly to the ceramics program.